In the Sonoma Valley, as well as elsewhere in California, mountain lions are at the top of the food chain and play critical roles in the maintenance and functioning of our natural ecosystems. Yet, mountain lions themselves live a fragile existence as more of us chose to live and play in wild places. The Living with Lions Project of the Audubon Canyon Ranch in Sonoma Valley is led by Dr. Quinton Martins, a Wildlife Ecologist and large cat expert. Dr. Martins is studying the region’s mountain lions to identify priority habitats and key wildlife corridors and to promote ecosystem conservation throughout our region. Living with Lions humanely captures lions to equip them with GPS collars to monitor range, and collects biological measurements and samples to determine their age and genetic makeup, and health and nutrition status. Reducing wildlife-livestock conflict. Coupled with research, Living with Lions partners with landowners and managers to implement best methods to deter mountain lions from preying on pets and livestock. Wild neighbors. Audubon Canyon Ranch’s scientists and educators teach more than 11,000 children and adults each year about conservation science and the importance of mountain lions in ecosystem. In 2017, Wildlife Health Network began to provide veterinary support for the Living with Lions Project. Our primary roles are to provide anesthesia and health exams, and collect biological samples during captures. 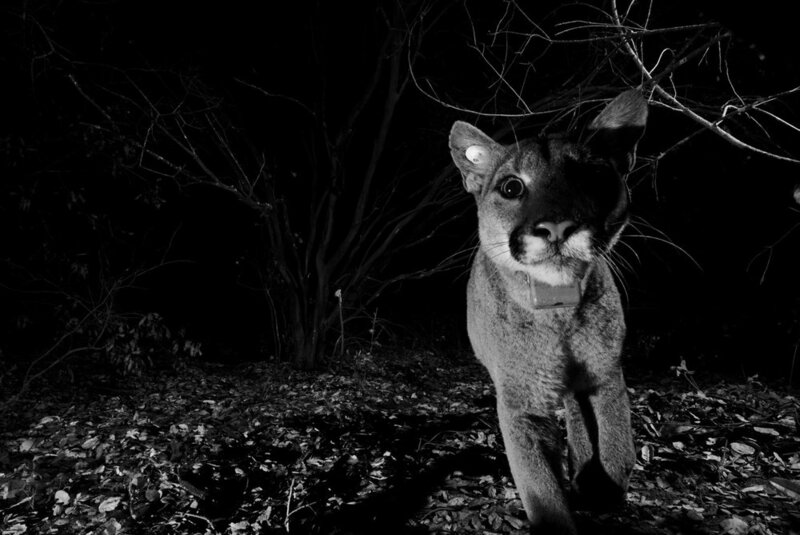 The health exams and biological sampling are part of a statewide project assessing the health of California’s mountain lions.